Like many a person I enjoy a substantial weekend breakfast, and like many a sandwich enthusiast I see no reason breakfast can’t be a sandwich. 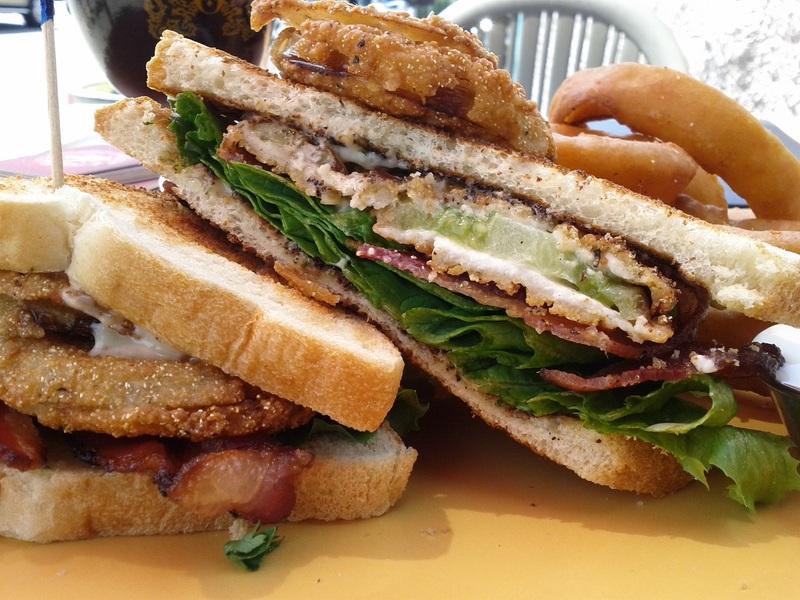 That’s how the above came to be, and while it is fundamentally a BLT, it isn’t quite the usual, even beyond the addition of avocado and a fried egg. To start with, the tomato is an heirloom tomato. I cannot stress enough what a difference that makes; heirloom tomatoes taste like tomatoes, and grocery store tomatoes do not taste like anything. If this marks me as some manner of food snob so be it. I am committed to speaking the truth about sandwiches and their ingredients, and I have yet to find reason for a kind word about grocery store tomatoes. The lettuce is only lettuce in the broadest sense, as it is actually spinach. After frying the bacon in a skillet I deglazed the pan with a splash of bourbon, then sauteed the spinach with a plentiful bit of minced garlic. Lastly, an avocado was mashed and spread along a toasted whole wheat bolillo and an egg was fried in a bit of bacon fat. Perhaps the highest compliment I can pay this sandwich is that when the egg yolk spilled out onto the plate I did not immediately begin sopping it up. The spinach brought a wonderful depth of flavor to the affair, thanks in no small part to the whiskey. 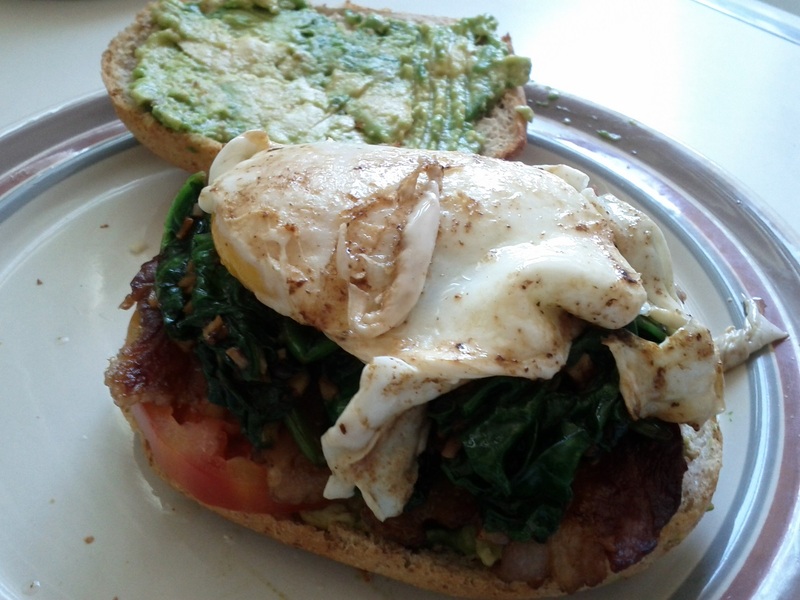 The BLT is a fine foundation for a sandwich, and the egg and avocado retched up the smooth, rich flavors of fat, cut by the savory notes of the spinach and the salty bacon. It was exquisite, and next time you find yourself hungry on a sunny Saturday morning I cannot recommend it enough.